UK RESIDENTS ONLY ACTION – Strong Suggestion That UK Will Ban Live Animal Exports After Brexit (Leaving the EU). Thank Mr. Gove For A Positive Comment. Environment Secretary, Michael Gove, has suggested that Britain may end the cruel UK live export trade after Brexit. IF YOU ARE UK RESIDENT ONLY – Please email him today, welcoming this suggestion and urging him to act. 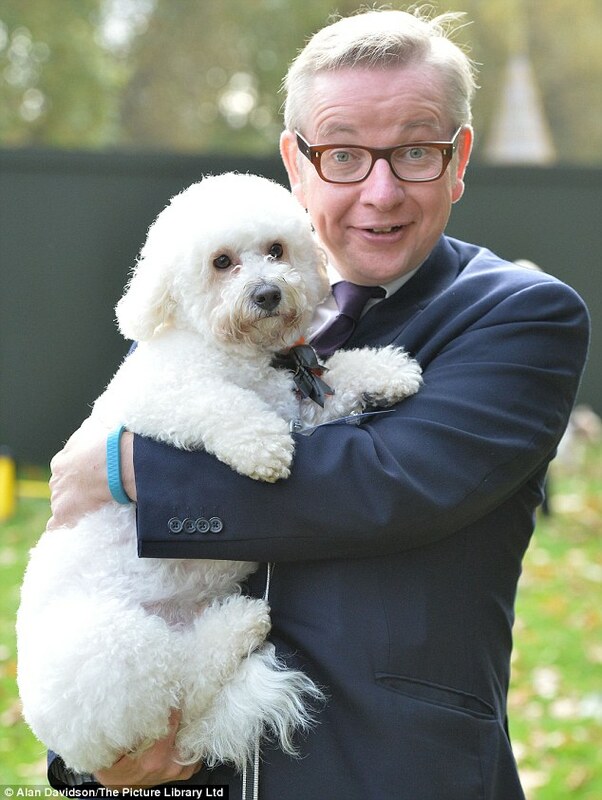 Above – Minister Gove with canine friend. Compassion’s investigators have just arrived back from the Turkish/Bulgarian border, where they have been documenting the condition of animals in transit. SAV Comment – click on this link above to read more about what the investigators found and as always, where EU law for animals in transport is being breached. An issue we have shown for years and campaigned strongly about. Van Goethem and the others at the EU simply say they can do nothing, despite having regulations that they could act on with regard prosecutions. The EU – useless as always; a big tub of useless hot air in Brussels ! What they found was shocking and appalling, but sadly not surprising. Time and again we see evidence that animals suffer during long distance transport, but nothing is done. Brexit gives the British government an opportunity to take a stand. We must ensure the global trade in animals for fattening or slaughter is dismantled, a UK ban would be a historic first step. You can take further action at the following link BUT ONLY IF YOU LIVE IN THE UK.